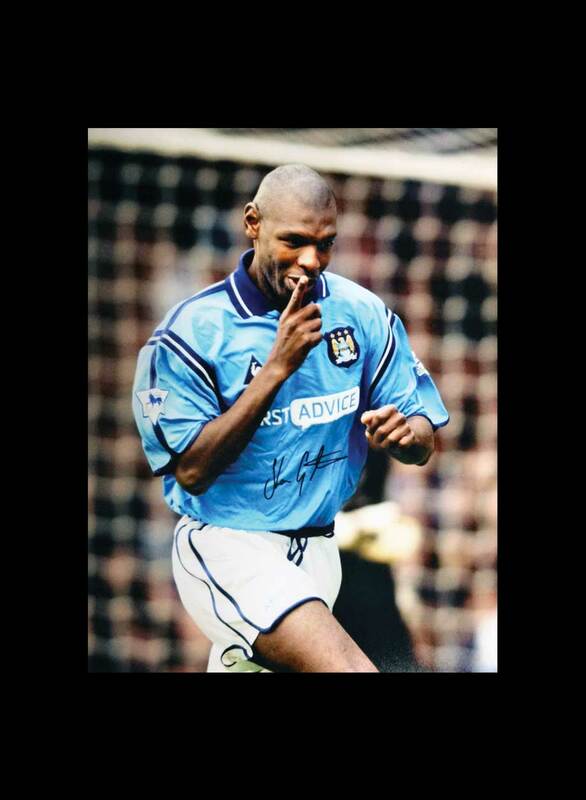 Here is a 16×12 inch photo signed by City Legend Shaun Goater celebrating his second and City’s third in the famous 3-1 victory over United in the last Derby ever to be played at Maine Road. 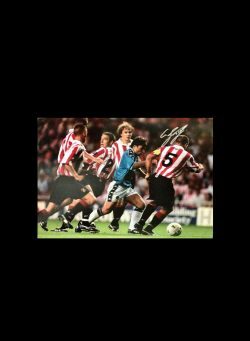 The photo was personally signed by Shaun in Manchester on 14th May, 2013 at a signing session carried out and attended by Allstarsignings. He won over the skeptical City following, who had seen him only as a journeyman striker bought to plug a gap. Within a year, he’d become a cult figure and his knack of poaching goals soon gave rise to one of the best modern-day terrace chants ‘Feed the Goat and he will score’. Season after season, the bond between player and supporters grew and his name was etched into City folklore. 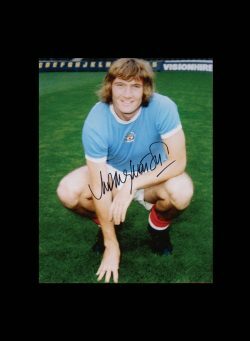 He was captain for their last match at Maine Road before joining Reading. He scored over 100 goals for City between 1998 and 2003, finishing as the club’s top scorer for four consecutive seasons. 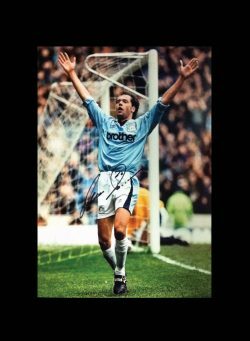 Uwe Rosler signed 16×12 photo. 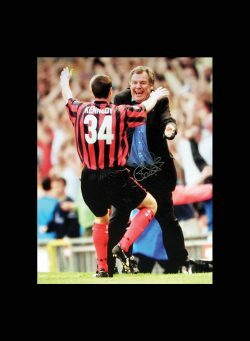 Joe Royle signed 10×8 Manchester City promotion photo. 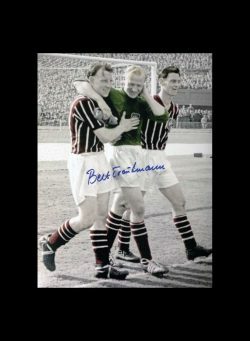 Rodney Marsh signed 16×12 photo.